It is important to ground yourself when doing healing work. There are several ways you can ground. One way is by grounding yourself into the earth this is done by drawing a line of energy from the base Chakra and dropping the line into the earth and grounding to the earth’s core or your earth star 6 feet below your feet. The other more advanced way is to draw a line of energy from the tan tien. The tan tien is the centre from which all martial artists move when they perform. It is from this centre that a martial artist draws power to break concrete. It appears to be a ball of power or centre of being ness, about two and one-half inches in diameter. It is located about two and one-half inches below the navel. It has a strong membrane around it so it looks a bit like a rubber ball. It can be gold in colour. This is a will centre. It is your will to live in the physical body. It contains the one note that holds the physical body in physical manifestation. It is with your will and this one note you have drawn up a physical body of the body of your mother the earth it is from this centre that healers can also connect to a great deal of power to regenerate the body, provided that the healer grounds the haric line deep into the molten core of meridian earth. When their haric line extends down into the earth, healers can gather great power. When used in healing, the tan tien can turn very bright red and become very hot. This is what being grounded on the haric level means. When this happens and the tan tien turns red, healers feel intense heat all over their body. The placement of a grounding stone during and after a healing, Reiki healing or crystal healing session, or even holding one grounding stone in your hands, really helps to integrate the changes within the physical body. Using grounding stones or crystals such as smoky quartz, or lodestone. I find using a grounding stone works best if you’re working alone. I always place a smoky quartz crystal at the base Chakra between the legs or place 2 smoky quartz crystals below the soles of the feet this works very well. I find it grounds the healing as well. The Etheric subtle body is the first layer of the auric field and is the closest energy field that is emitted from the physical body. This layer of energy is very solid and is a part of our Meta physical makeup. Within this Etheric layer you feel all physical sensations, painful and pleasurable. There are direct correlations between the energy in the Etheric body and what you sense within your physical body. Even the sense of touch can stimulate the sensations felt within the Etheric and physical bodies. The Etheric Body associated with physical aspects and awareness of the material body and is related to the First (Root) Chakra. It is on the next higher vibrational level to the physical body, which has the lowest vibrational level. It bridges the connection of the material body to the higher bodies. 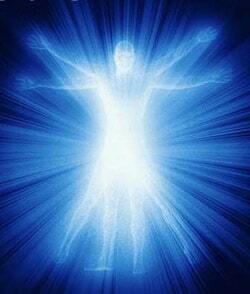 The Etheric body is an energy matrix and the form is shaped and anchored to the physical matter of the material body. This can also be said for all objects of physical matter and living objects such as plants and other living organisms have an etheric field surrounding them. This field is known as the Etheric plane. It is the interplay of energy within this Etheric plane that affects our physical body and well being, this response to our environment is empathic and telepathic in nature and a natural process of our Etheric being. Henceforth this is the light encoded reality matrix of our planets etheric plane. Environmental change such as seasonal change or climate change can affect the etheric plane when the climate in which we live is over cast and dull the energy with the matrix slows and debris builds up in this field. This is known as DOE, dead organ energy. To much dead organ energy in our environment can lead to a slowing in the movement of energy within our subtle body and auric field. As the etheric body slows the sensation within our physical body is stronger. In turn the etheric body becomes dull and movement of clean healthy energy from meridians slows and our immune system is weakened. Henceforth leading to illness such as colds and flu’s the same goes for if it is sunny for long periods the planets field is freely moving with energy and our fields are moving freely with energy. Our subtle bodies are healthy and the meridians flow freely into the bodies� organs making our immune system stronger. Bring good health. Pollution in our environment can lead to ill heath as well prana energy and the meridians are weaker if you live in a city where there is large months of pollution, toxins can make our subtle bodies weak as well. It is the etheric response to injury that can leaded to slow healing when you injury your physical body I have noticed that the energy around the limb slows and becomes dark like a bruise within the etheric body. These blockages can make healing take longer. One way of telling if there is a blockage in a area of your body were there is an injury is to place a lodestone hanging on a peace of string over the area if it spins then there is a blockage hold the lodestone there till it stops. This helps to free up the blockage in the field. Below is a list of stones used with the etheric body for opening and healing you can place a stone on a Chakra, or over an injury, other things to try are healing nets. Healing nets are sets of eight or more crystals place around the body evenly about one foot away from you. It is here that we find the first point of the etheric heart which links into the heart Chakra. The second auric layer is the Emotional Body associated with the vibrational level of inner feelings and related to the Second (Sacral Plexus) Chakra. It extends three inches around from the physical body. This body or auric layer and all higher layers are perceived by the third eye. Here we find the second point of the sacred heart located the just below the heart Chakra on the left hand side of the body and this point can be found about waist height on the left hand side of the emotional body of the auric field. The third auric layer is the Mental Body which is associated with the vibrational level of thoughts and mental processes of the ego and related to the Third (Solar Plexus) Chakra. It extends three up to eight inches around from the physical body. Here we find the third point of the etheric heart, which is linked to the thymus this Chakra, is located just below the throat and above the heart Chakra. This point can also be found just above shoulder height on the left side of the mental body in the auric field. And is the highest point within the etheric heart.